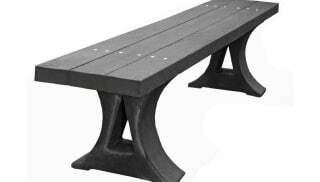 Choose environmentally-friendly seating options with recycled plastic Mplas seating from Marshalls. The Mplas Seat is manufactured from recycled waste plastic and maintenance free as it will not corrode or rot, crack or splinter. 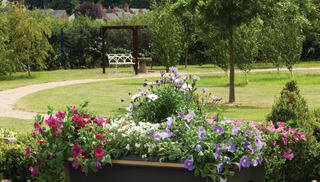 Available in free standing or ground fixed options, it is ideal for parks, schools and leisure schemes. 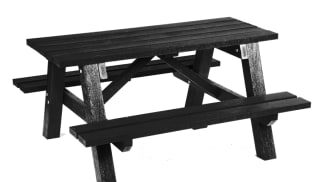 Mplas is also available as a backless bench and picnic table. All products are supplied fully assembled and can be root fixed to either soft or hard surfaces. Once bolted in the ground, they will be ready for use. Mplas features an easy-to-wipe surface, removing paint and marker pen easily without damaging the product, as it is resistant to most chemicals. Its non-porous qualities mean it’s not subject to rot, algae or fungal growth and therefore suitable for use in wet or damp conditions. As plastic is less susceptible to degradation over time, the furniture has an extended lifetime and provides cost benefits over traditional solutions. 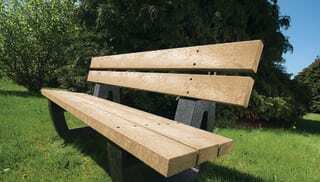 Browse the range now to find the perfect recycled plastic bench for your project.